This is our second rug from Overstock, and I'm super pleased again. It looks exactly like the photo, and you can't beat the price. 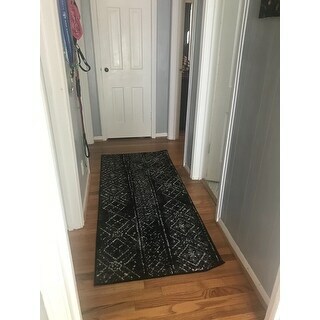 I can't recommend purchasing rugs from Overstock enough! Safavieh sure knows how to make a quality rug. The pattern is whimsical and goes well in my mud room. Would highly recommend for the right space. We bought this rug as a runner for our kitchen. It is very nice and hides dirt well. I highly recommend getting a non-skid pad as it moves around A LOT!! Other than that it is pretty nice. Using under small dinette set, in my kitchen. Great quality, soft nap to it, but still full and great pattern. Great use for runner I had never considered. Glad I did! I love runners in kitchens. 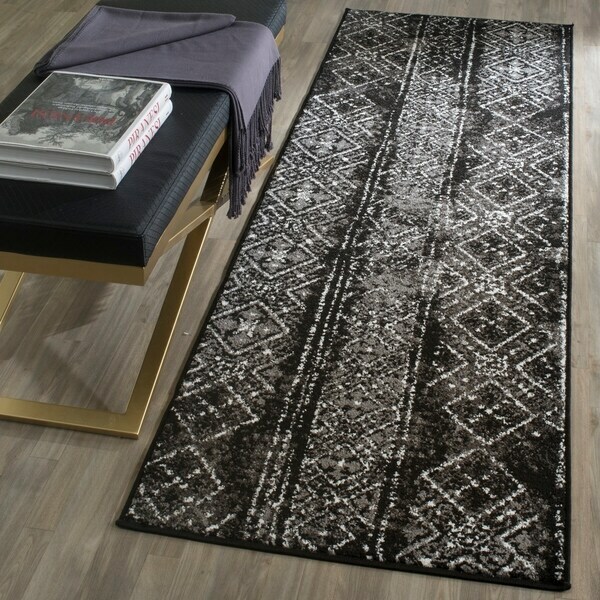 I just ordered another rug because it is a good rug for a very good price! I really love the colors and pattern. 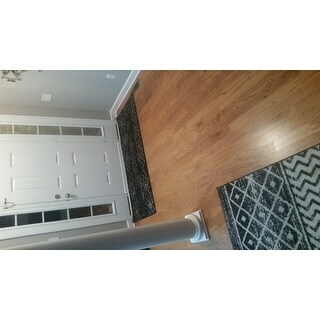 It matches very well with the area rug I purchased on Overstock as well. My only complaint is that all the corners are still curling up. Maybe it just hasn't laid flat long enough; otherwise, it's a good rug. Looks good! Thinner and not as soft and if like but the price was right! Cute rug but not the highest quality. Good quality for the price. Love this rug, I have three dogs, so I’m always looking for something fashionable yet practical. The rug doesn’t come apart from there nails digging. Beautiful rug. I used for a double vanity bathroom area. Makes bathroom look very elegant. I absolutely LOVE this item. It works well with the rest of my vision and holding up well. I would definitely recommend this item. I also brought 3 of them to complete the look. along with a bigger one. Very pretty and soft. Works very very in daughter's room. We bought this along with the coordinating 4x6 to run along side our bed. It’s perfect for cold feet, but also added design interest in the room . The two pieces make the room look very put-together at a fraction of department store prices. It was shipped quickly with zero issues! Hard to find a Black/Grey runner. Can't beat the price. Like the overall pattern and the size will fit perfect in the space I need it in.